When a stimulus descends upon a cell, it sets off a flurry of activity. Sensors on the surface take in information and relay it inside to other proteins, which perform computations and transmit their findings. The cell makes a decision and responds to the stimulus. Megan McClean wants to figure out how it all works and then manipulate the process — fundamental research with implications for identifying drug targets and designing medical treatments. “How can I predict what a cell’s going to do, and how can I make it do exactly what I want it to do? I find that really interesting. It’s the secret control freak in me,” she jokes. McClean, an assistant professor of biomedical engineering at the University of Wisconsin–Madison, studies cellular signaling pathways, the biological networks that transform external signals into internal decisions such as whether to grow or die. Now her work to better understand and engineer those signaling processes will get a boost, thanks to a Maximizing Investigators’ Research Award from the National Institutes of Health that provides her with $1.8 million over five years. In addition to supporting the range of research projects in her lab, it affords her the flexibility to pursue new questions as they emerge. “We can grow and pivot and change direction as new things come up, which is really great, because a lot of science happens unexpectedly,” she says. 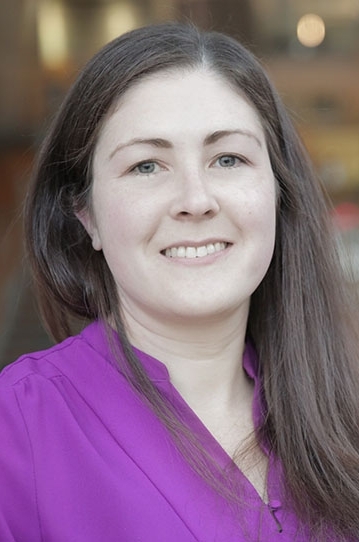 Since joining the College of Engineering faculty in 2015, McClean has devoted most of her attention to studying Saccharomyces cerevisiae (budding yeast) as a model. It’s a quick-growing, single-celled microorganism that’s easy to genetically manipulate and has key similarities to the cells of mammals. In particular, the signaling pathways she’s focused on — mitogen-activated protein kinase, or MAPK, which control some stress responses — also exist in humans. By probing yeast cells, McClean hopes to glean lessons on topics such as how pathways filter environmental stimuli, what affects their response time, how signaling cuts across pathways, and how a robust structure can insulate pathways and make them difficult to target with drugs. She and her lab members do this by using microfluidic models to create precise environments in which to observe cellular behavior and by engineering light-sensitive proteins to optically control responses, a method known as optogenetics. McClean has also begun expanding her research agenda to include pathogenic fungi. She hopes to build upon her knowledge of cellular response in budding yeast and uncover why and how pathogenic yeast cells decide to disperse from a localized infection site and spread to other parts of the body.